Debby Sabin founded Lovelane in 1988. Debby is Executive and Founder of Lovelane, as well as an instructor in the program. A certified Occupational Therapist (MS/OTR/L), Debby has been involved in the field of therapy for over thirty years. She has hosted equestrian events in the Special Olympics and coached as a member of the International Special Olympics team. Prior to founding Lovelane, Debby worked as the director of the Special Needs Horseback Riding Program at The Riding School in Weston, as a pediatric Occupational Therapist at the New England Rehabilitation Hospital, and at the Concord Early Intervention Program. She holds her bachelor’s degree from the University of Massachusetts and a Master’s in Science from Boston University. 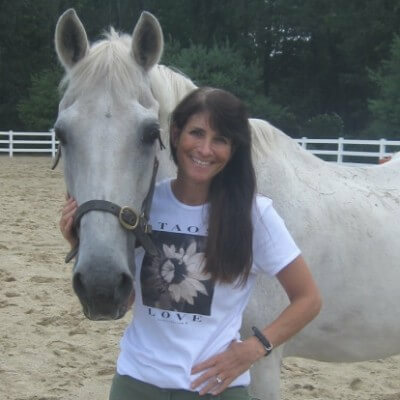 She is a licensed Occupational therapist, PATH International instructor and Massachusetts riding instructor. Debby loves combining therapy with a sport and a motivating, positive setting. She is continually inspired by and fortunate to work with, the students and families at Lovelane.